Thank you for your interest in Bio Amp Cables. Please complete and submit the form below and an ADInstruments representative will aim to get in touch within one working day. If you’d like to speak to someone immediately, office contact information is available from the contact page. Suitable for use with Shielded Lead Wires and the FE231 Bio Amp. 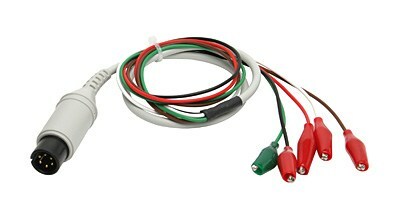 An unshielded cable suitable for use with Unshielded Lead Wires and the FE132 Bio Amp. 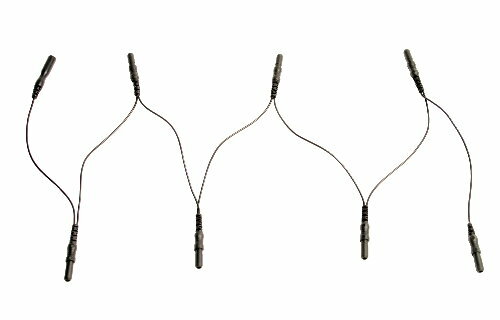 Suitable for use with Shielded Lead Wires and the FE132 Bio Amp. An unshielded cable suitable for use with the MLA0315 'snap on' lead wires, FE135 Dual Bio Amp, PowerLab 26T and PowerLab 15T. Suitable for use with the MLA2505 Shielded 'Snap On' Lead Wires (5 pack), the FE135 Dual Bio Amp and any PowerLab with a built-in dual bio amp such as the PowerLab 4/26T or PowerLab 15T. For use in measuring biopotentials in animals such as EMG and ECG. The cable is ideal for use in student laboratory classes. 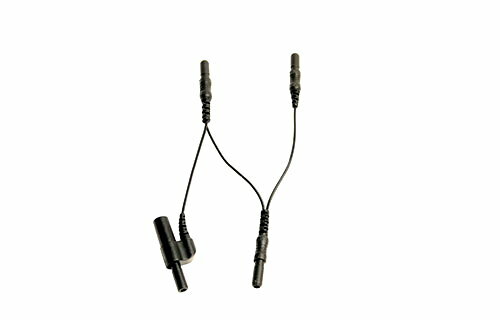 The cable has a 6-pin plug to 5 Alligator clips and can only connect to any PowerLabs with built-in Dual Bio Amps (such as PowerLab 15T, 26T, 4/25T or 20 series) or the FE135 Dual Bio Amp. Estimated delivery time: 1 month. 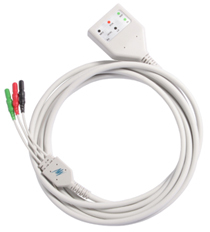 Used in a 12-lead ECG recording configuration with the Octal Bio Amp and the Octal Bio Linking Cable II. 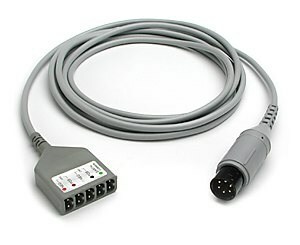 The cable links the negative inputs 1 to 6 of the ML238 (or older ML138) Octal Bio Amp and connects them to the lead connected to the subject’s left leg. 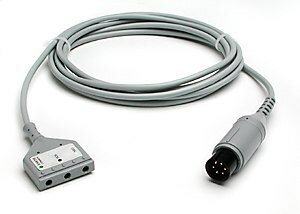 The cable contains seven 1.5 mm shrouded female plugs and a single 1.5 mm shrouded male connector. 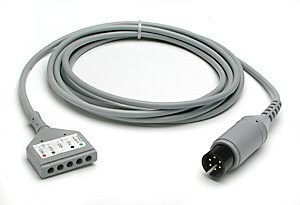 Used in a 12-lead ECG recording configuration with the ML138 Octal Bio Amp and the MLAC29 Octal Bio Linking Cable I. 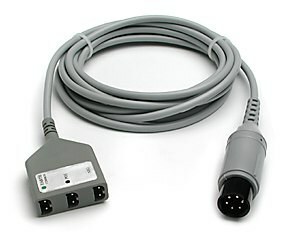 This cable links the negative inputs 7 and 8 of the ML138 Octal Bio Amp and connects them to the lead connected to the subject’s right wrist.